Workers’ compensation laws and benefits are in place in order to protect both employers and employees in the event that a person gets injured while working. In general, while employees are protected in that they legally have the right to workers’ comp benefits if they sustain a workplace injury even if they caused the injury themselves, employers are typically protected in that, if injured workers accept these benefits, the employers can’t later be sued for more damages. attorneys at Brown & Brown. They will increase the financial stress on the already-burdened workers’ compensation system. They can be subject to criminal charges and penalties, the severity of which will generally depend on the amount of money fraudulently taken. Here and in two upcoming parts of this blog, we will take a close look at the specific types of workers’ compensation fraud that can be committed by different parties, as well as the criminal penalties associated with criminal convictions for these fraud charges. If you have specific questions about a workers’ comp claim or would like help with a claim to avoid inadvertently committing workers’ compensation fraud, contact Brown & Brown. Working while injured and not reporting that income. Classifying employees in lower levels of employment in order to undercut their benefits. Attempting to pay off insurers to get them to recommend a specific medical facility for treatment. 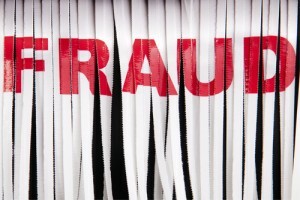 Be sure to look for the upcoming second and third parts of this blog for a continued discussion of workers’ compensation fraud. If you have suffered a workplace injury and are preparing to file a workers’ compensation claim – or if you are currently battling an insurer for workers’ comp benefits, contact Brown & Brown Attorneys at Law. Since 1993, our St. Louis workers’ compensation lawyers have been passionate about serving our clients, and we are experienced at aggressively defending our clients’ rights in any legal setting. Our goal is to preserve and promote the rights and welfare of individuals and families who have suffered injuries and losses and/or who need help navigating through the complexities of the workers’ compensation system. For a free initial consult, email us using the form at the right-hand side of the screen and/or call us at 573-333-3333 for our Missouri office or at 618-888-8888 for our Illinois office.